Winter is coming and with it the power consumption increases, even in vehicles. Your car battery is thus subject to greater constraints. Protected by its cache, the car battery is often the most overlooked revisions. It is also necessary to control its tension. If it is less than 12.7 V after a journey of about thirty minutes, it is likely that it requires maintenance or if your alternator is not charging correctly. Check the levels between the electrodes. Attention acid is harmful to the eyes. If lack of fluid, use only distilled water. When the thermometer goes below -5 ° C, the car battery suffers. And if the engine compartment no longer has the protection around the battery, wind can bring down even temperature. may request a preheating time in extreme conditions. If your car is outside layer, it is possible to opt for a device that can heat the battery. The principal for the life of your car battery remains that the load is always optimal. Some of you will remember that it is possible to charge or help starting with a booster. What limits the life of a car battery? If not being maintained, its battery will limit its capabilities; its misuse is also a factor. 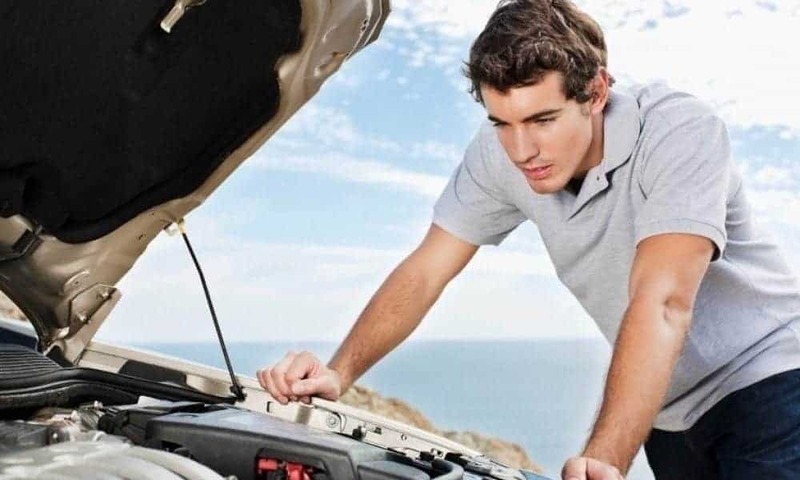 When your car will not start, do not work the battery for a long time. Better to give relatively short key strokes. If the problem persists, check the spark plugs. The start takes a lot of energy. Turn off your lights and all devices that consume electricity before waking the engine. Why do we consume more energy in winter? With the cold, all our devices charge faster. So sometimes we load the car more frequently. Maintain its battery is crucial in winter. Car suffers more and tends to discharge more rapidly. Batteries with care: are disappearing, transparent with two witnesses (minimum and maximum) that check the level. Maintenance free batteries: sealed, to increase their lifespan, use a specific battery charger with maintenance function. The operation and the establishment of a battery are the same regardless of the type: it must deliver volts (lighting, alarm) and ampere (start). The capacity of a battery is expressed in ampere hours (Ah). For example, to 24 Ah, the battery can deliver 24 amps in one hour. Note: inside, a battery comprises a plurality of accumulators connected in series. Each producing a few volts, so it takes several batteries to produce the amount of volts required to operate a car. Sulfating: if we leave a battery to discharge, lead sulfate crystals accumulate on the plates. The battery loses its efficiency because of this layer present on the lead plates. Stratification: if a calcium battery is discharged by half, there is creation of layers (acid on one side and water on the other). Drying: If the battery is charged with a voltage greater than itself, it is overloaded and the water evaporates. The plates no longer immersed in a homogeneous liquid, which alters the operation of the battery. Specific chargers allow solving these problems with specific functions. A battery charger is a handy device that allows you to recharge your battery when it is depleted. Some charger models in some cases give a second life to your battery if it is worn. However, if your battery is dead, charger can do nothing. To recharge a battery with a charger, install yourself in a ventilated place preference. Warning: do not smoke especially close. Connect the clip of the red cable from the charger to the “+” terminal of your battery. Connect the clip of the black cable from the charger to the “-” terminal of your battery. Wait until all the compartments of your battery bubbling slightly, which takes several hours (minimum 10 hours). 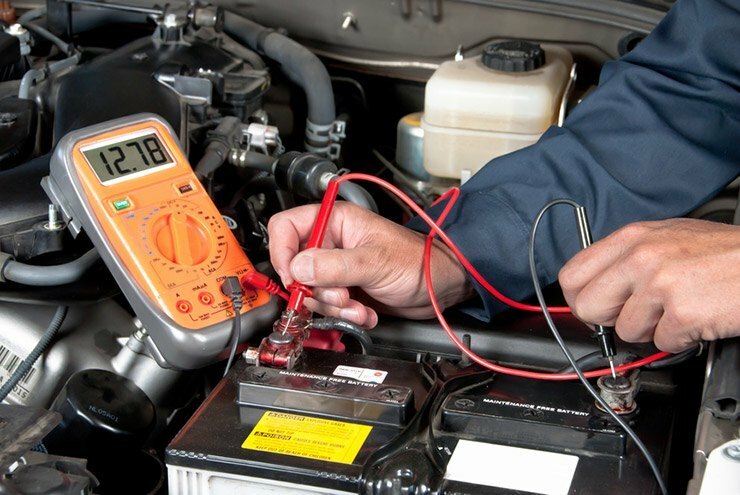 In the case of a battery with maintenance: check the water level and top up with distilled water if necessary. If you do not have a charger, another vehicle is essential to recharge your battery. Position 2 cars one beside the other, head to tail without touching. Leave the car with the battery that runs the engine running, turn off lights and anything that uses electricity as the car radio and the headlights. Connect the black cable to the “-” of the booster battery and the “-” of the battery to troubleshoot. Then connect the red cable to the “+” of the booster battery and then the “+” of the battery to troubleshoot. Wait a few seconds, and then try to start the car down. This operation will not recharge the battery; it will give the necessary impetus to start. It is the action of roll that will then create electricity that is stored in the battery (if it is not worn, laminated, sulphate, etc.). Caution: Always make sure that the clamps do not touch! Go ride at least 20 minutes. Your alternator may be defective, as it is used to recharge the battery when your car runs, the symptoms are the same as for a car that will not start.